Eucalyptus & Basil Soap, Eucalyptus Soap, Basil, 100% Natural, Handmade Soap, Natural Soap, Handcrafted, Soap, Eucalyptus, Basil. 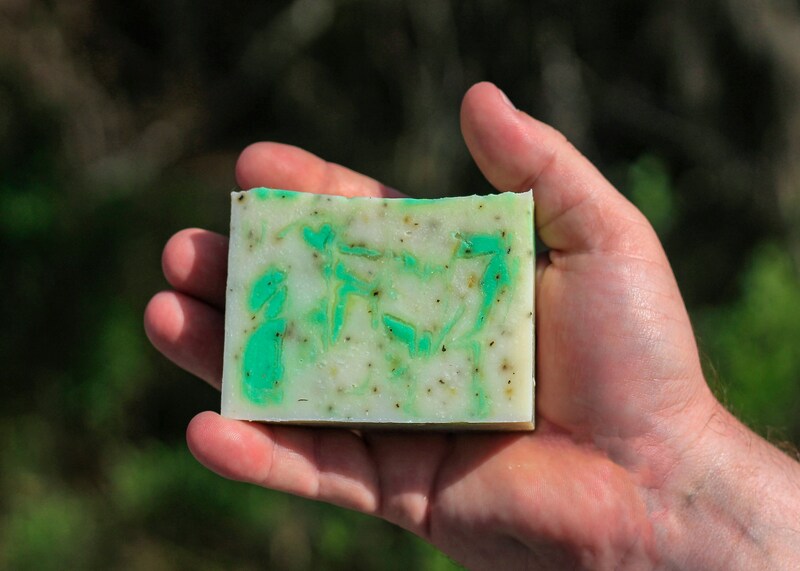 This is a softer eucalyptus scent than our Eucalyptus Spa Bar. 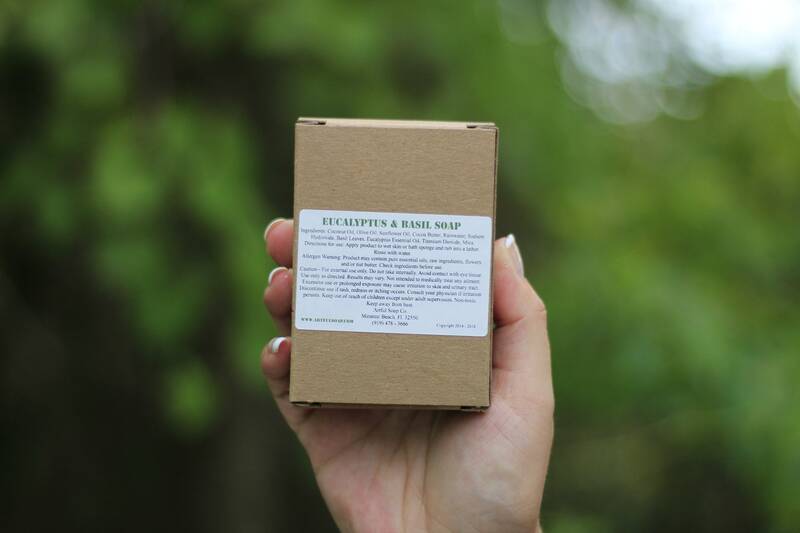 The basil has a very soft herbal note that compliments the eucalyptus very well. Customers have reported the scent to be light and soothing. If this is the soft aroma your crave, try this bar! 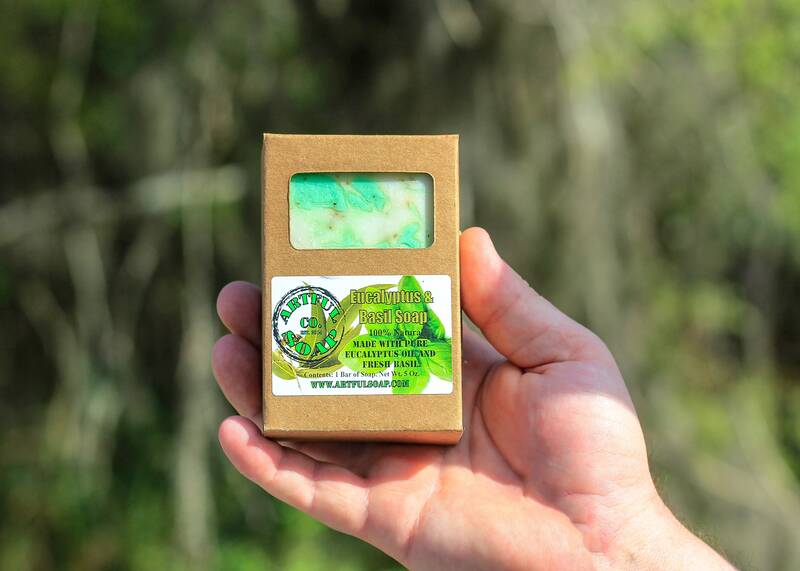 If you want more punch from your eucalyptus soap, try our Eucalyptus Spa Bar! We use pure eucalyptus oil for an aromatherapy experience to sooth away the toughest stress and fatigue. Very disappointed; there was no eucalyptus scent. I brought the matter to the vendor who is sending me free of charge a Eucalyptus soap bar. I surely can't wait to try it. I sincerely appreciate the vendor's gesture. Smells so good! Relaxing fragrance. This soap smells good enough to eat!! I cannot wait to use it. I have no doubt it will be just as nice as the lavender tea tree oil soap I purchased from this seller. Thanks! !